Why can't I add son to our car's policy? Insurers are suspicious when parents request their young son or daughter to be added to their policy for fear that the young driver is actually the primary user of the vehicle. However, your case is different - but unfortunately you are being affected by this practice. Certain insurers have strict rules and will under no circumstances add drivers under 25 years old - this very much sounds like your company, so you will need to change insurer. My home insurance policy expired in the first week of October, which is our own fault as both my wife and I thought the other had dealt with the payment. I have since spoken with the insurance firm to pay the premium and they are now saying they will not renew our policy because we didn't renew before the expiry date. I have gone online to get quotes but because we had a claim in 2017 for €3,800 and I let this policy expire, no one will quote me. I now feel the legal route with my own insurer is my only option as I have been told they are legally obliged to insure me. I really don't want to have to take legal action, but is there any simpler way of having this rectified? In recent years insurers have really tightened up their rules when it comes to accepting home insurance policies. 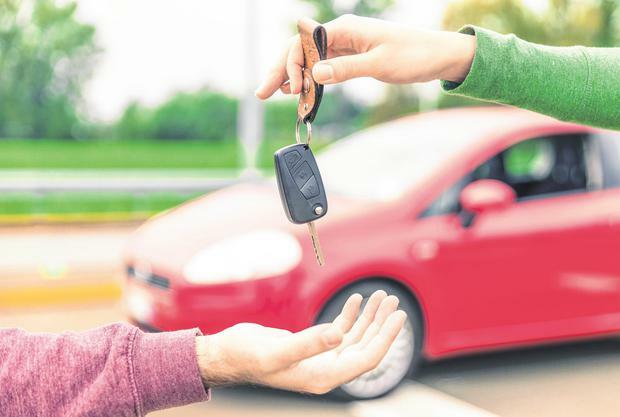 They are now quite strict in their approach to writing policies and unfortunately, having a 'gap in cover' is a complete red flag to some insurers - so much so that, as you have experienced, they will refuse a policy on this basis. I think you may have been slightly misinformed as to an insurer's legal obligations in this type of situation. However, all is not lost. Based on the information you have given and the assumption that there has been no other claims or anything out of the ordinary, then if you go to an insurer that doesn't have strict 'gap in cover' rules and also allow for a claim with the past five years, you should be able to take out a new policy at a reasonable premium. This combination of insurer might be tricky to find, and you may well be online all day and not find one, but a good broker will get this sorted for you in minutes. Time is of the essence in your case, so my advice is to immediately speak with a broker and you will get cover and the price won't be as bad as you think. We have unexpectedly been given an opportunity to go, as a family, on a winter ski holiday. However I have checked our family travel insurance policy documents and winter sports is specifically listed as 'not included'. To buy a new policy with another insurer where winter sports is included is very expensive as I need cover for myself, my husband and three teenagers. Do I have any other options? As a first port of call, I suggest you talk to your insurer. Listing cover as 'not included', would normally mean that there is an option to include. It may well be the case that you wisely chose at the time of taking out the policy to exclude this cover, as you didn't think it would be something you would need. Most insurers will allow you to add this cover back into your policy as long as you haven't started the holiday. This should cost no more than €10- €15 to add onto your policy. Just one more tip - check what activities are excluded in the policy, like sledging or snowboarding - be very clear about what is covered and not covered especially with teenagers. Enjoy the holiday. I have been employed as an accountant with a large multinational for the past seven years with the full use of a company car but now I am now looking to start my own business. I have been checking various insurance quotes for a new car, but because I don't have a no claims bonus, the quotes are all coming in at in excess of €1,500. I have always had my own policy and never had a claim. I haven't had any accidents, or claims or penalty points. Is there anything I can do to get a lower premium?